Steering, the customer service art used by car insurance companies to spotlight the benefits of having your automobile repaired at a sponsored garage, is quite ironic word usage since, presumably, if you steered your car differently you wouldn’t be in this predicament in the first place. The same could be said of consumers if AB 1200 is allowed to pass later this year. The bill proposed by Assemblywoman Mary Hayashi and supported by nearly all of the big players in the insurance industry believe consumers would be better off with more information, rather than less as they claim current California law prescribes. On the face of it this sounds noble, but there’s more to it. Currently, it is against the law for auto insurance companies to explain the benefits or “steer” customers towards a repair shop of their own choosing. Hayashi’s bill would allow companies the opportunity to “hard sell” customers even after they state their desire to have their car fixed by another garage. The bill cleverly frames the argument as a panacea of additional information flowing towards the consumers hands. Unfortunately, it merely switches the preponderance of information from the consumer and spotlights the information in the hands of the insurance companies. In practice, after smashing your brand new Altima, who really cares about where your car is fixed? This is the psychological frame of mind insurance companies hope to exploit by making it “easier” for you to have your car repaired at the insurance company’s choice of auto garage. Consumer groups says steering gives garages incentive to do less-than-satisfactory work and leads to cost-cutting procedures (or lack thereof) by garages yearning to secure inclusion on the insurance company’s lucrative preferred list. What exactly is the genesis of this bill? 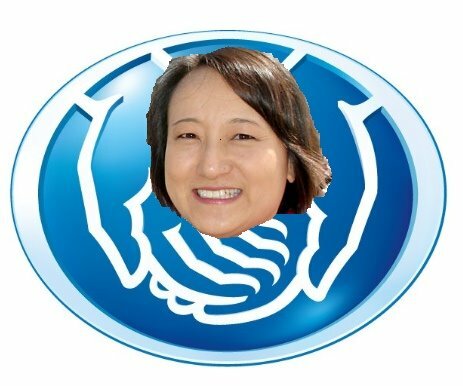 Were constituents of Hayashi’s district clamoring for more information from a highly profitable industry in these times of sky-high public distrust of corporate America or is she doing the likes of Allstate, State Farm and Progressive’s bidding? Posted in Assembly, editorial, insurance, Mary Hayashi. Bookmark the permalink.